A week of activities, events and special offers have been organised to celebrate next month’s National Libraries Day across West Sussex. West Sussex County Council’s Library Service operates 36 public libraries, one prison library, two mobile libraries and an extensive schools’ library service, stocking almost one million items from books to music, DVDs and language packs. To celebrate National Libraries Day, which is on Saturday February 6, customers will be able to try any borrowable stock for free, as all reservations from Monday February 1 to Sunday February 7 will be free of charge. 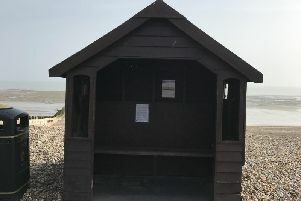 Customers can choose from any items in stock across West Sussex; no matter which library the item is in, it can be delivered to the customer’s local branch. Reservations for books usually cost 80p if placed by library staff or 50p if completed online. Children’s items are free to reserve on children’s tickets. Reservations can also be placed via the West Sussex Libraries app (free on Google Play or App Store); by using the online catalogue at home or in the library, or by speaking to a member of library staff by phone or face-to-face. In the week leading up to National Libraries Day, there are nearly 200 activities and events taking place in West Sussex libraries. This includes all regular activities for adults and children such as baby rhyme time, multi-sensory story time, knit & natter and board games. In addition there will be a number of one-off events including sing-along a sound of music and afternoon tea with author Nicola Cornick.